Triumph the Dog Staged Fake Trump TV AuditionsAt least it made you get your reel together. Turns Out Donald Trump Already Owns TrumpTelevision.comThe site would make a good home for his rumored TV network. Trump TV May Have Already Cornered Its Audience: ‘The Future of the GOP’Trump is building a 14 million–member email list full of young conservatives. His team wants to milk it for money and influence for years to come. Late Show Pitches Show Ideas to Trump TV Chris Christie/Rudy Giuliani buddy comedy, anyone? 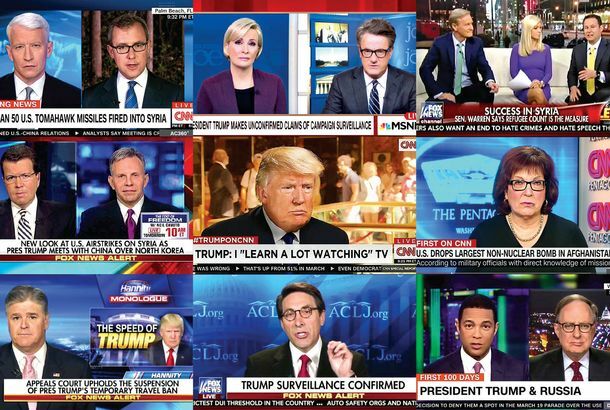 Did Trump TV Premiere Last Night?Trump counterprogrammed cable news by broadcasting propagandistic, public-access-quality debate coverage over his Facebook page.